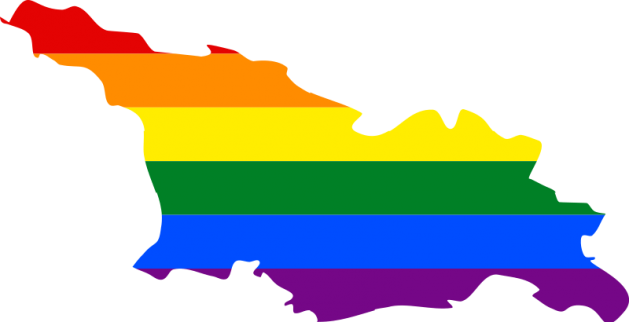 TBILISI, Sep 8 2014 (IPS) - Georgia’s LGBT community is sceptical that recently-introduced anti-discrimination legislation hailed by some rights groups as a bold step forward for the former Soviet state will improve their lives any time soon. The law, which came into effect in May this year, is ostensibly designed to provide protection for lesbian, gay, bisexual and transgender (LGBT) people in a country where homophobia is deep-rooted at all levels of society and LGBT groups face daily discrimination. But activists in Georgia say that introduction of the legislation has actually hardened attitudes against the LGBT community and that there are serious concerns over how effectively it can be applied. Irakli Vacharadze, head of Identoba, the Tbilisi-based rights organisation, told IPS: “Since the law was passed, things are actually worse now for LGBT people. When they make a complaint about something, people just say, ‘what more do you want? You’ve got your rights now in law’. It’s really obnoxious. With a deeply religious society – 84 percent of the population identifies itself as Orthodox Christian – attitudes in Georgia to anything other than traditional heterosexual relationships are deeply negative among much of the population. LGBT people say that they are often refused service by businesses and hospitals, bullied in school, and harassed by the police. Meanwhile, the Orthodox Church, which has a hugely influential role in society, has denounced LGBT equality and described support for LGBT rights as the “propaganda of sin”. A 2013 survey by Identoba revealed how entrenched anti-LGBT sentiment is in society – 88 percent of respondents said homosexuality could “never be justified”. A peaceful gay rights march marking International Day Against Homophobia last year ended in violence as protestors from a rival church-led counter-demonstration attacked and beat LGBT demonstrators. But the country’s pursuit of closer ties with the European Union forced political parties, which had previously been at best apathetic towards the LGBT community, to address the issue. As a condition of being granted coveted visa-free travel to EU countries, the government was told it had to implement anti-discrimination laws, including legislation specifically on gender expression and sexual orientation. And although fiercely opposed by the Church, they were passed with the general support of all political parties. However, LGBT people in Georgia remain far from convinced that, in its present form, it will help them. Although welcomed as a step forward, rights groups have criticised the fact that a devoted enforcement body was not approved and instead cases will go to the Ombudsman for Human Rights. They say that the Ombudsman’s office lacks capacity and that effectively dealing with complaints will be compromised. They have called for the passage of additional measures to ensure enforcement of the law. The Ombudsman’s office has yet to set up a department to deal with anti-discrimination complaints brought under the new legislation and one will not be functional before January. Meanwhile, faith, or rather lack of it, in the country’s justice system is also likely to limit its effectiveness. But the introduction of the legislation has already had at least one potentially positive effect. LGBT people say a profound ignorance of their gender expression and sexual orientation and their lifestyles contributes to the widespread antipathy towards them in Georgian society, but passage of the laws has at least promoted vitally-needed public discussion of the LGBT community. Vacharadze told IPS: “The law alone will not change society’s attitudes towards LGBT people, it won’t get rid of homophobia. It won’t do anything to deal with the ignorance about LGBT issues and the community. The laws also have a wider significance in that they stand in stark contrast to the repression of LGBT communities in other former Soviet states, most notably Russia which is increasing its persecution of homosexuals through repressive legislation. Just this week, the senior political figure in recently-annexed Crimea typified the Russian political stance to non-heterosexuals when he attacked LGBT people at a government meeting. He also said that “Crimean children should be brought up with a ‘positive attitude to family and traditional values’,” and that Crimea had “no need” for gays and lesbians. Some observers say that the passing of the laws in Georgia, at a time when neighbours and other former Soviet states are attacking LGBT people, is proof that the country is set on moving closer to Europe and putting as much political distance between it and Russia, which has annexed some of its territory in recent years. Indeed, as political parties debated the anti-discrimination laws, Davit Usupashvili, the parliamentary speaker, described the bill as a choice between Russia and the European Union. Campaigners say that the government’s desire to cultivate closer and closer ties to the EU means that the legislation will, in time, become effective. Ursu told IPS: “In the next year or so, the Georgian government should look to strengthen the law and try to prove that it is functioning simply because it remains under the scrutiny of the EU.